The tax gap is the deficiency between the amount of tax that should have been paid and the amount that is voluntarily reported and paid by taxpayers. The IRS estimates the tax gap to be $350 billion annually. Underreporting of income is a primary contributor to the tax gap. Form 1099 reporting is one of the mechanisms the IRS uses to ensure that taxpayers report income they receive. A 1099 is issued by the payer to the payee. The IRS will match the income reported on the taxpayer’s return with the 1099, and a discrepancy will generate a notice. A Form 1099-MISC must be filed to report the payment of more than $600 for compensation for services. This would typically involve people who perform independent and subcontract services (e.g., contractors, lawyers, consultants). Payments to corporations for these services were exempt from 1099 reporting. For years the IRS has advocated for an expansion of the reporting requirement to include corporations. Not only did Congress act upon the suggestion last year, they expanded it. Included in the Patient Protection and Affordable Care Act (aka Obamacare) was a requirement for any business to issue a 1099-MISC to any person or entity for the purchase of more than $600 of goods or services during a calendar year, starting in 2012. Under the old rules, a taxpayer had to track payments made for services rendered by nonemployees. The new requirement will force businesses to track the purchase of goods and services. For instance, if you purchase more than $600 of office supplies, lumber or gas from one retailer throughout the year, you must issue a 1099-MISC. Imagine the paperwork and administrative nightmare this creates for any business to comply with these rules. Not surprisingly, this expanded requirement has generated a tremendous firestorm of criticism, especially amongst small business owners. This provision is supposed to generate $17 billion of revenue over ten years, but I doubt anyone quantified the cost of compliance, both for the IRS and for taxpayers. Personally, I think the net revenue generated from this provision is greatly overstated. 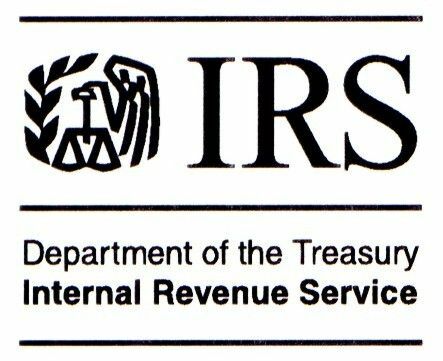 It might generate $17 billion in new revenue, but the IRS could easily spend more than that amount just to process the mountain of forms that will be filed. It’s been rather humorous to watch the politicians handle this issue. Congress included this provision in the healthcare bill and President Obama signed it, yet over the past six months, there has been a parade of politicians, including the President, who have talked about how bad this requirement is for business and the need to get it reversed. It’s funny; the same people who created the requirement are now championing its repeal. Only in Washington is this considered normal. Despite months of clamoring, Congress still hasn’t repealed this reporting requirement. Last week, the Senate added it to a bill dealing with modernization and safety issues of the Federal Aviation Administration. Most commentators and professionals expect it to be repealed; it’s just a matter of when. I think Congress knows they will eliminate it too, which is why they aren’t rushing to pass the repeal. To me, it’s just another example of the dysfunction that is prevalent in our nation’s Capitol. They know it’s bad, and they know they’ll eliminate it. Rather than having a simple vote to repeal the rule and move on to other business, it gets dragged out for months and wrapped into some political deal. I ask… what does 1099 reporting have to do with a safety bill for the FAA? The expansion of the 1099 reporting was a poorly conceived idea with little consideration of the real world compliance implications. It never should have been enacted, and I expect it will be repealed this year. If you’re a business owner, you can be thankful that this is one tax reporting requirement you’ll never have to comply with, but the sooner you know for sure, the better.